Ok. Quick update before I go off the grid again. 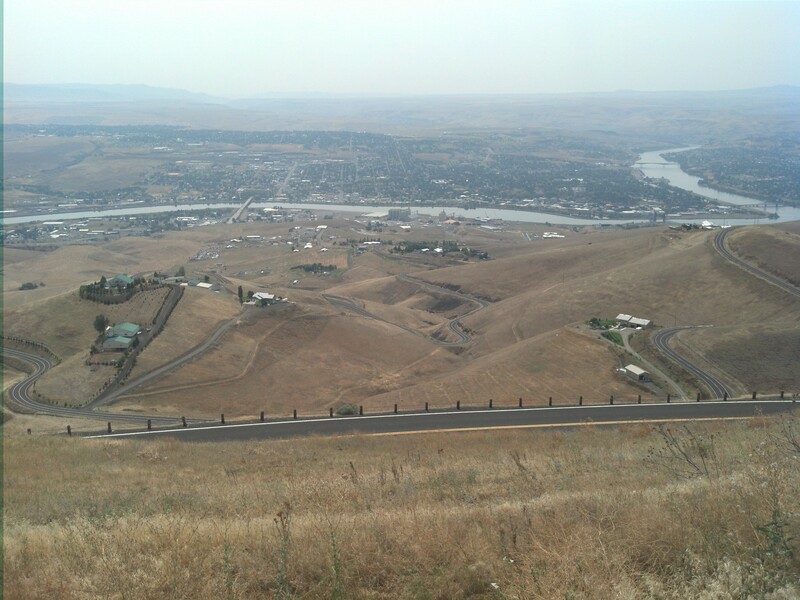 I made it into Lewiston – Clarkston, where I replaced my balding tire. Next I had a pretty tough 2000 foot climb up the “old spiral highway”, a welcome no-traffic alternative to the side-cut ramp of the main highway. Then the rolling grain fields slowly gave way to tree-lined hills, and then I suddenly found myself in the lumber town of potlatch (where the sign happily expounds how it was a lumber company planned town, where workers were housed right next to the mill, while “managers houses were built away from the noise and smoke”). From there, I snaked my way through old growth pine stands and into wide open valleys. Now I’m in Saint Maries, where I’ll head up the st. Joe river until I pick up the “route of the Hiawatha”, a much-touted rail trail that will take me over the border into Montana via a tunnel! I should be in big sky country tomorrow night!